Hope you are all doing great and had a nice week. In my previous article (click here), we went through a small example and tried to understand the terms Share Cap, Market Cap, Face Value, Market Value, Dividends etc. This week, Ill introduce some more terms in a simple way.. Initial Public Offering or IPO - Sounds familiar??? Now, you already have a good amount of money getting rotated in your business. You need to decide on the number of shares. For this, you need to decide on your Capital. Authorized Capital - This is the maximum share capital which you are authorized to issue to shareholders when going public. This can be any amount above Rs 1 Lakh. Now, you need to set an Authorized and Issued capital for yourself. How do you set this? Lets try to work backwards. Lets say that you need 100 Cr cash to expand your business. How do you raise 100 Cr. One way is to go to the bank and take a loan. But you don't want to do that. You want to raise it by giving shares of your business to others. You know that lots of people will invest in your company's potential. Now, you go to an investment banker and try to create a valuation for your ever-growing business. 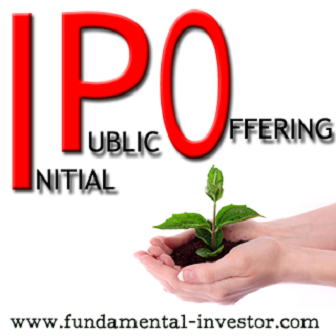 Now, valuation of a business is a tough thing to do, especially when you are doing it for Initial Public Offering. Investment valuators have a tough job. They not only need to consider your past performance, but need to fix a price for your share keeping the future in mind as well. Let us say that keeping all this in mind, they value your company at Rs 80 - 100 per share. Lets say that you decide that to give 1 Cr shares to public (Institutions, Retail investors etc.). Lets say that you want to keep 50% of the stake with yourself and the promoters. So that means you need totally 2 Cr shares, out of which you will issue 1 Cr shares to public and keep 1 Cr shares with yourself. Now, let us decide on the Face Value of the shares. Lets keep FV = 10. So what is the capital? You can choose your Authorized share capital a little higher so that tomorrow, you can give more shares to public by increasing your Issued Capital. Lets set the Authorized Share Cap as 40 Cr. The Authorized share capital should be chosen keeping the future plans in mind. Ok so here is the summary so far. The above 2 details are for shares with FV = 10. Now, you go for listing with an Authorized Share Capital of Rs 40 Cr. You have to pay a fees for listing in an exchange. The fees goes higher if we have a higher authorized capital. Ok.. We have paid the fees and now decide to go public. We release a circular which says that we are issuing 1 Crore shares of FV 10 in the Primary market at a rate of 80 to 100 (lower band to upper band). Now, immediately, 2 big institutions come to us and tell us that they want to be Anchor investors. They each want 20 Lakh shares for Rs 100 each. That means, you can raise 10 Cr immediately. You also know that the confidence of the public will go up since these big investors want to get in. You agree for this. So out of 1 Cr shares, 40 Lakh shares are taken by Anchor investors. This leaves 60 Lakh shares for public (Includes retail investors, institutions and all others). You set a time period for public to apply for your shares in the price range of 80 to 100. How many shares are allotted to the people who apply is based on the demand for the shares of you business. You only need bids for 60 Lakh shares. If the mood is really good, sometimes you might get bids for 80 - 90 Lakh shares - Over Subscription). In this case, the number of shares given to each person might decrease. If public are not too interested in your business, you might only get bids for 20 - 30 Lakh shares at Rs 80. In this case, your IPO has got Under Subscribed. By looking at the subscription, the price of your shares on the day of listing in the exchange might go above 100 or below 80. Assume that you have given the 60 Lakh share to investors at Rs 100 per share. You have raised your 100 Cr of cash from investors. Until now, everything was in the Primary Market. Primary Market - The stage/market where the shares are allocated by the company to the public shareholders at a price. Investors cannot trade/sell them to anyone else yet. This is the stage where the listing company raises its funds. On the listing day the shares of the Initial Public Offering will be available in the secondary market. The price of the share will be based on the demand. The shares will be available in the secondary market now for people to buy and sell the shares. From now on, the pricing of the share will not give any direct funding to the company. Secondary Market - Once the company is listed in an exchange, the owners of the shares can sell/buy to others for a price. The price will be based on demand and supply and the company does not get any benefit from these transactions since they have already raised their money in the Primary market. Now, the total number of issued shares is 2 Cr of FV 10 each. You have raised 100 Cr by giving 1 Cr shares at Rs 100 each to other shareholders. Now, there are 2 things to keep in mind. Shareholders have paid a Premium of Rs 90 to get your share whose Face Value is only Rs 10. Now, the additional Paid in capital will be shown separately in the Balance sheet. Please remember that dividends are only given on the Paid up Capital (on the Face Value of the share). Hope this gives you a good perspective of how things begin for a company when it goes public. Please feel free to ask me queries. Thanks for all the details, i have a couple of questions though. Can you also share how market capitalization is calculated and is that the net worth of a business. I have some confusion on market cap as the shares of a business does not equate to entire business value.